What damages are available for a personal injury claim in Georgia? After being seriously injured in a Georgia car collision, truck crash, motorcycle wreck, or other personal injury accident caused by someone else's negligence, victims may be entitled to pursue a wide range of damages. These damages are usually divided into two main types: special damages and general damages. Additionally, in cases where the at-fault party's conduct was particularly egregious, a third type of damages may be available. 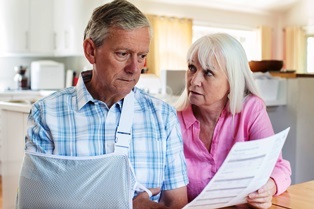 Known as punitive damages, they're intended to punish the at-fault party for wrongdoing and deter similar actions, rather than compensate the victim for an economic or non-economic loss. What If My Family Member Died As A Result Of An Accident? If a personal injury victim dies as a result of their injuries, their surviving family members may be eligible to file a wrongful death claim to seek compensation for special and general damages related to their loved one's death. Wrongful death damages may include reasonable funeral and burial expenses, loss of financial contribution, the family's emotional suffering, and other relatable forms of compensation. If you were seriously injured in a Georgia personal injury accident, the knowledgeable attorneys with Rechtman & Spevak can help you explore your options for compensation. We can advise you regarding which types of damages may be available in your case. Use the convenient contact information on this page to schedule an appointment for a free initial case consultation.